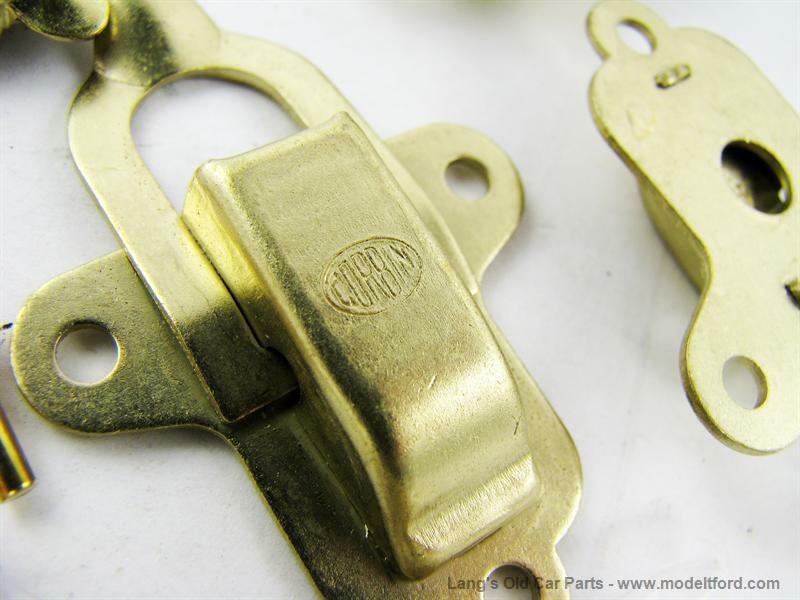 Excellent reproduction of the Corbin latch set, Brass plated steel as original. Includes rivets. 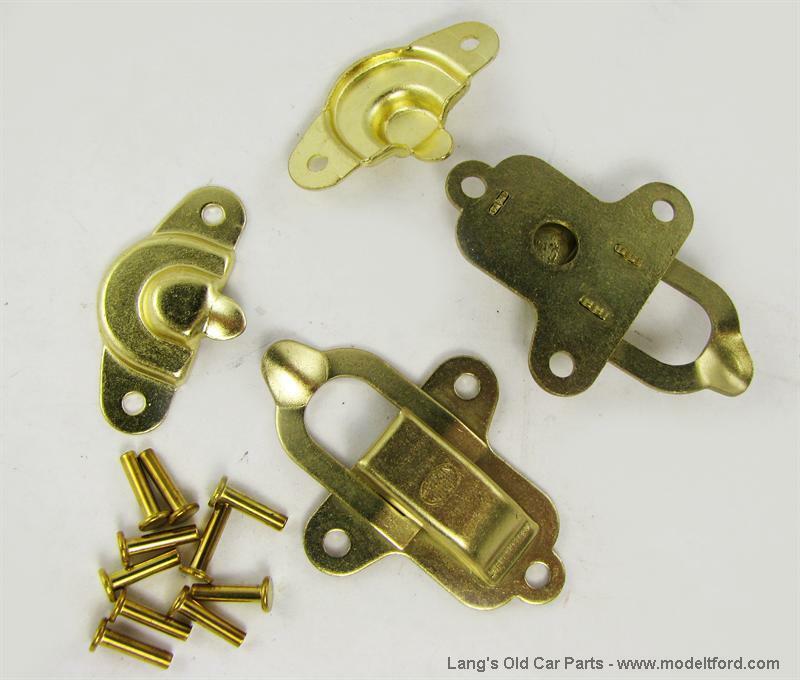 “This is similar to a “lunch box” style latch in appearance. Complete set for both sides of the coil box.